This new newsletter article highlights contemporary planning research developed by UH Manoa Department of Urban and Regional Planning faculty and students. The article is intended to enhance the practice of Hawaii’s planners by providing greater access to the innovative planning research DURP affiliates develop. DURP researchers can also benefit by having an additional avenue to spread their research findings within our community. This article highlights the research Layla Kilolu, a DURP master’s candidate, has conducted that explores how seven cities across the globe are encouraging equitable resilience to issues such as climate change and other challenges. The City and County of Honolulu was selected as one of the Rockefeller Foundation’s 100 Resilient Cities (100RC) in 2017, connecting Honolulu with an international network of cities facing similar issues in the face of climate change and other physical, social, and economic challenges of our time. Layla Kilolu, a graduate student in the Department of Urban and Regional Planning at the University of Hawaii at Manoa explores the concept of resilience through a social equity lens in her research. In this short documentary, she presents lessons learned in resilience planning from cities in New Zealand, Australia, South Korea, the Philippines, and the United States. Through interviews and field research, Layla discovers innovative ways in which cities practiced inclusivity and equity in their planning processes, such as partnering with indigenous communities, the youth, and cultivating leadership and connectedness at the local level. Layla Kilolu is a graduate student in the Department of Urban and Regional Planning at the University of Hawaii at Manoa. Her research is focused on how resilience strategies are created, monitored, and measured from a social equity perspective. 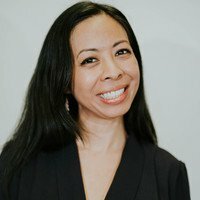 She has contributed to sustainability efforts at Sea Grant, Elemental Excelerator, the City and County of Honolulu's Office of Climate Change, Sustainability and Resiliency, as well as Hawaii Gas, which is Hawaii's only gas utility company. As Layla was raised in the foster care system, her life mission is to improve the quality of life for underserved groups, particularly for at-risk children and youth. She holds an MBA from Pepperdine University.